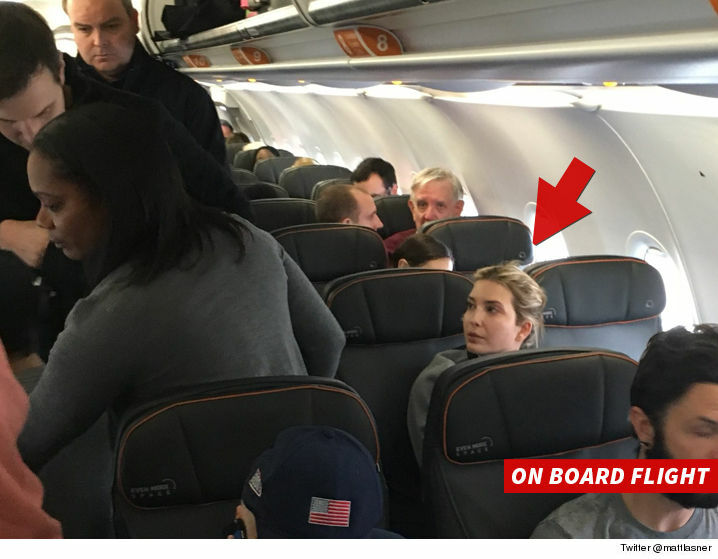 BTW ... Ivanka, her family and bunch of cousins were all in coach. 8:35 AM PT -- JetBlue just released a statement, saying, "The decision to remove a customer from a flight is not taken lightly. If the crew determines that a customer is causing conflict on the aircraft, the customer will be asked to deplane, especially if the crew feels the situation runs the risk of escalation during flight. Our team worked to re-accommodate the party on the next available flight." 7:48 AM PT -- The husband of the unruly passenger tweeted an hour before the plane took off, "Ivanka and Jared at JFK T5, flying commercial. My husband chasing them down to harass them."